It wasn't really a "haul" since I did not really buy that many products from Soap & Glory, but the products that I've bought are all very popular among the brand and I'm sure you've heard of them. Soap & Glory has always been one of my favorite brand, not only their products are fabulous but also because of their packing, it looks really vintage with all of its design, just like the brand "Benefit" if you know what I'm talking about. They also have different amazing scents in their products and when you apply them, it's just like putting on fragrances, which is absolutely lovely. I know there is another product called the "Righteous Body Butter", and this body lotion is actually no big difference with the body butter, it has the total same scent, which smells incredible, just in the texture of lotion instead of butter, so it's like a more watery texture. For people who have normal skin, this body lotion is what you need as it really moisturize your whole body very well, leaving you with a very sweet scent and smooth skins. For people who have rather dry skin, I refer you to use the body butter version, it's literally the same with this but in a thicker texture, which moisturizes your skin even more. This hand cream is in fact the best hand cream in the Soap & Glory line, it is also an all-time bestseller. I love how this hand cream moisturizes your hand without that greasy feeling. You can actually feel your hand getting soft and smooth after applying this hand cream with a fully moisturize feeling. It also smells incredibly good as the hand cream is infused with their pink fragrance. So if you are still looking for some hand cream that is moisturizing but non-greasy, this is definitely what you are looking for. This body scrub can actually gives you smooth skin and a natural healthy glow after using it, the grains of it feels just like sands but they ain't got that feeling that you are scratching off your skin. You just have to take a handful of scrub and massage it on your damp skin to scrub off any dead skin and make your skin glow, as easy as that. And the best thing again, is it smells fabulous, just like peaches. So basically, this thing is like something you buy in those gym store called "fat burning gel". This works amazingly well to my surprise, I originally bought it just to give it a try, you know, kind of like just for fun. So this firmator doesn't gives out the same scent like the rest of the product, but it still smells nice like lime and mint together, very refreshing. So what you have to do is apply it one the area you want to tighten after shower or whatever everyday, pair it up with some exercise (it works the best with exercise as the gel can help you sweat more and burn more fat in this way) and you may totally see the effect in a few weeks. *I've tried this product on my own and it totally works, but only with exercises. I don't know if it works on any other people because different people will have different reaction and I am not quite sure if this works on you. This review is only based on my personal experience and I'm not responsible if the product does not work on you. So what do you think? 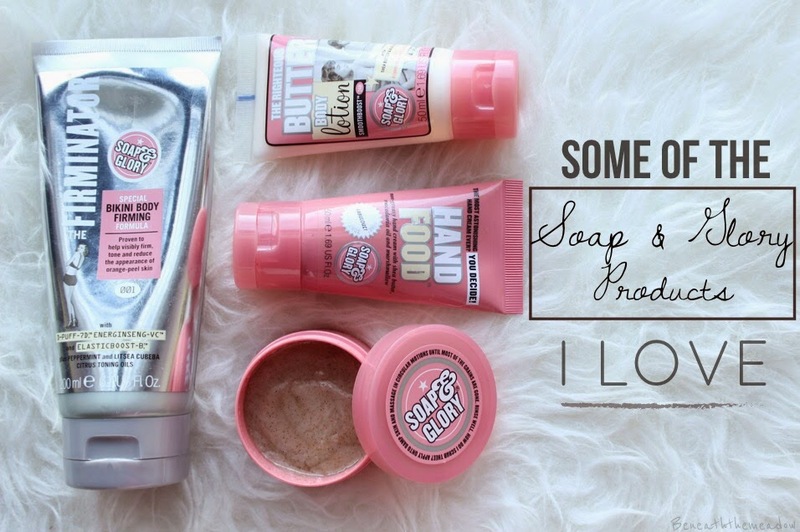 Which Soap & Glory product is your favorite?